We help you evolve your business models, improve your operational efficiency in the hospital activities that includes providing great control over the value chain from Health and Human Services (HHS) to care delivery, distribution and pharmacy benefit management (PBM). Our project Hospital Management System includes registration of patients, storing their details into the system and also computerized billing in the pharmacy, and labs. Our software has the facility to give a unique id for every patient and stores the details of every patient and the staff automatically. It includes a search facility to know the current status of each room. User can search availability of a doctor and the details of a patient using the id. The Hospital Management System can be entered using a username and password. It is accessible either by an administrator or receptionist. Only they can add data into the database. The data can be retrieved easily. The interface is very user-friendly. The data are well protected for personal use and makes the data processing very fast. 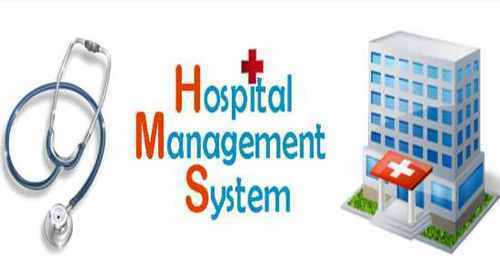 The Hospital management system software is user-friendly software. The main objectives of the system is which shows and helps you to collect most of the information about Hospitality and Medical Services The system is very simple in design and to implement. The system requires very low system resources and the system will work in almost all configurations. Patients are easily allocated to the doctors. The system is very simple in design and to implement. The system requires very low system resources and the system will work in almost all configurations. Administrator controls the entire system. Reduce the damages of the machines. We will endeavor to provide our customers with the highest possible level of service using the best available computer technology in order to help them achieve their business and personal goals. We will do this with honesty and integrity offering only affordable and appropriate solutions to their technology requirements.